This is Melbourne’s grand tree-lined boulevard that runs north south, connecting the suburb of St Kilda with the city. 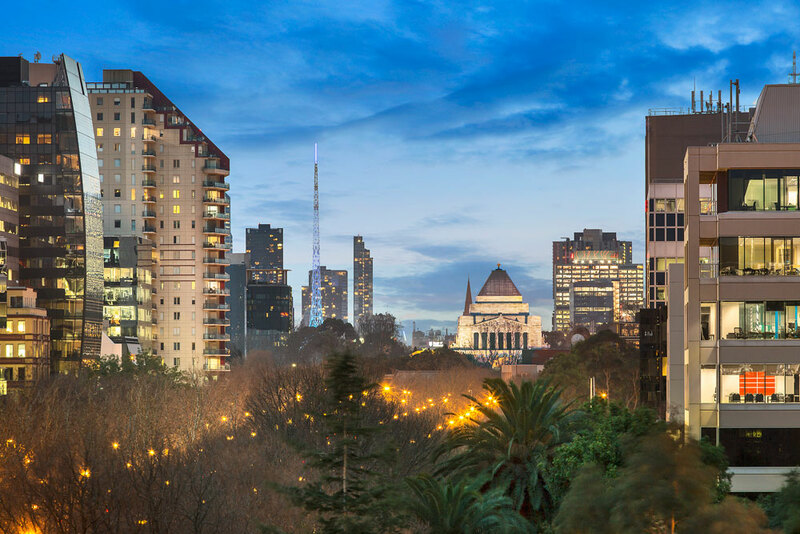 It is the gateway to Melbourne’s parks and gardens, as well as Melbourne’s art precinct such as the National Gallery of Victoria, the Arts Centre and the Victorian College of the Arts. St Kilda Road gardens include the Alexandra Gardens with the rowing sheds and palm trees, Fawkner Park known for its sporting fields, Domain Gardens: home of the Sidney Myer Music Bowl and the Botanic Gardens. St Kilda Road also holds the Shrine of Remembrance and the historic Victoria Barracks, and therefore making it one of the most historically and culturally important areas of Melbourne.